The X-1 was the first experimental test plane developed at the R&D facilities at KSC. 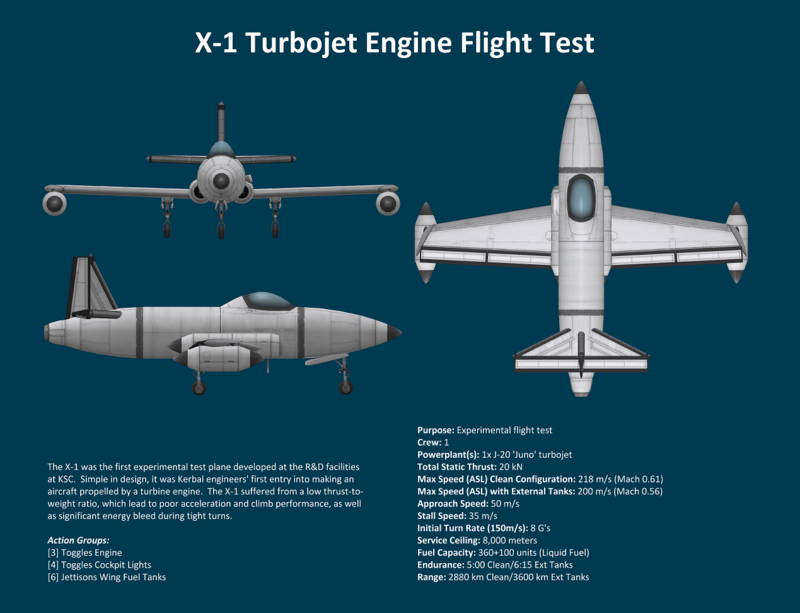 Simple in design, it was Kerbal engineers’ first entry into making an aircraft propelled by a turbine engine. The X-1 suffered from a low thrust-to-weight ratio, which lead to poor acceleration and climb performance, as well as significant energy bleed during tight turns.